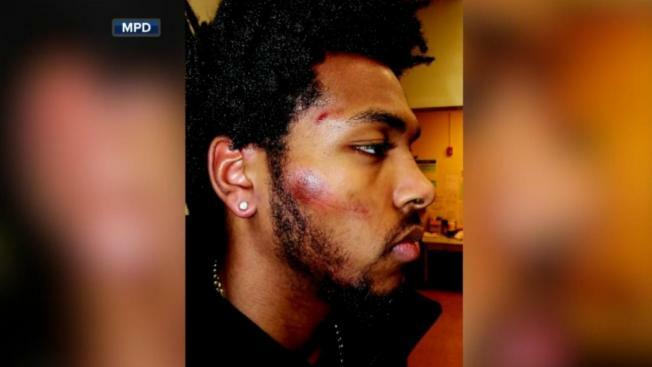 Brown's attorney Mark Thomsen filed the lawsuit in federal court Tuesday alleging excessive force and unlawful arrest. Brown had been talking with officers while waiting for a citation for illegally parking in a disabled spot outside a Walgreens. Officers swarmed Brown and took him down because he didn't immediately remove his hands from his pockets as ordered. Police Chief Alfonso Morales apologized to Brown last month when body-camera video of the arrest was released. Brown wasn't charged and three officers were disciplined, with suspensions ranging from two to 15 days.